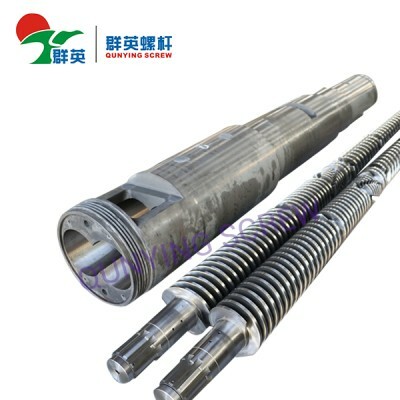 Qunying Plastic Machinery Manufactory is a professional bimetallic screw barreland Bimetallic Screws Barrels Manufacturers,We are located in east of Zhoushan city, zhejiang province, close to Shanghai, Ningbo port.All of our Bimetallic Single Screw Barrel comply with international quality standards (ISO9001-2000).In order to meet the needs of our customers, we company also provides product design, surveying and mapping, sample processing and repair manufacturing business.Till now, our Bimetallic screw barrel have been exported to more than 40 countries all over the world, like USA, India, South Africa, Turkey, Russia and so on. We sincerely welcome customers to negotiate consultation and exchanges guidance. Your satisfaction is our eternal pursue and goal.